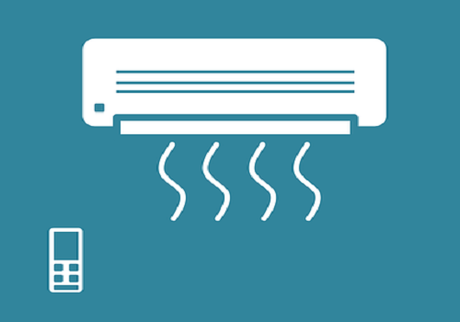 Almost everyone in the United States that lives in modern homes or houses utilize central air conditioning HVAC units. While sure, there may be homes that don’t have it, since the 1990’s, central air conditioning units have increased greatly. Because of this though, there have also been numerous homes that have neglected their HVAC units and ended up having to have extensive repairs to not only their HVAC system but even sometimes their own homes. If they would have had more frequent inspections, they could have avoided this issue altogether, as they would have known when to replace their HVAC systems. In this article, we’re going to explain why inspections are key to preventing HVAC repairs for residential homes. When you’re getting your HVAC system inspected, everything that attaches to your home, and is connected to your HVAC unit should be inspected at the same time, or in one fell swoop. Usually you’ll want to inspect your AC unit outside (or have your hired licensed inspector do this) to make sure that it’s working properly, not full of water, not rusted, and that the wiring is completely secure and safe. From there, the inspector will end up inspecting your venting and duct work, and make sure that there isn’t water inside of it. If there is, it could mean that you have an air leak, or even have too much moisture buildup from your condenser. Also, condensation can cause a lot of problems with condensation and moisture if it’s outdated, and this is inspected as well. Lastly, other than your vents being inspected to ensure even air distribution, your thermostat will be checked as well. If you notice that your thermostat makes your heat and air conditioning actually kick on and off when the temperature is warmer than it should be (heaters will stay on when set to 72 until it’s 75 and then sometimes won’t kick back on until it reaches 70 degrees, while air conditioners will not kick on at proper temperatures, or not at all). How Often Should You Inspect? You should either inspect your HVAC system (or hire a professional from the ReliableStandard Homepage to do it for you) annually. This includes filter checking and more, as you need to generally replace your furnace and vent filters twice per year, but no less than once a year. The best time to do this is in the fall, and in the late winter/early spring. Aside from the filters, there are other things you can do yourself that may not require any professional service. Try checking to make sure your AC unit works around March for and run it about a day in order to keep things in check. If you have a couple dry days in winter, you can also switch your heat to cool for about four hours, as this is similar to starting your car once in a while if it’s parked for a long time, and it’ll make sure things don’t rust or freeze up.